Southcoast Forklifts is a Victorian based forklift company that provides onsite service and repairs of all makes and models of forklifts, EWP’s and small to medium plant. We sell new and used forklifts and can supply forklift parts Australia wide. 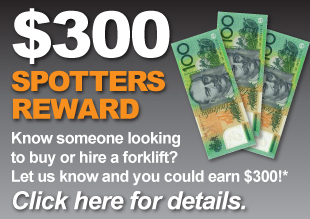 Southcoast Forklifts also offer forklift & EWP hire to Southwest Victoria. Southcoast Forklifts supply forklifts parts for all makes & models, to all areas of Australia and Oceania. Whether it be common parts or hard to find we will do our very best to find and quote you at a reasonable cost. Southcoast Forklifts provides servicing and repairs to all makes and models of forklifts, EWP’s and small to medium sized plant. These repairs can be carried out either onsite at your workplace or in our well equipped workshop. Southcoast Forklifts provides forklift & EWP hire to Southwest Victoria. Whether you need a new or used forklift, Boom Lift or Scissor Lift for a day or a decade or even a driver, Southcoast Forklifts can help. Southcoast Forklifts offer a free broker service to find you a used forklift that best suits your specific needs and budget. We are able to supply used forklifts to anywhere in Victoria and many parts of Australia, and are continually working on growing our network of trusted dealers.